Remember — water is (almost) always the winner. Walking on the treadmill while reading US Weekly does not warrant a sports drink. 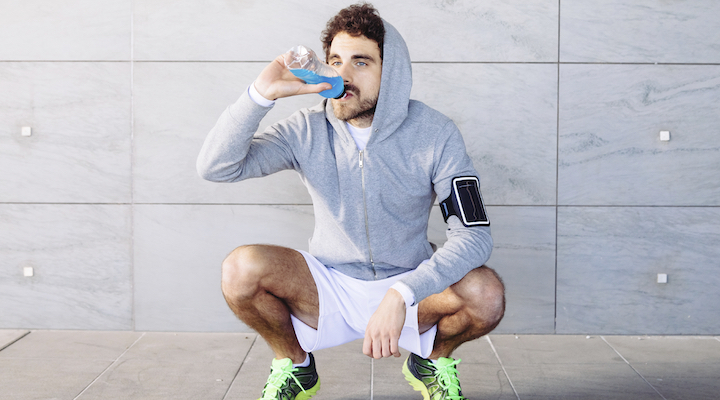 Unsure of which beverage is best for your athletic activity? Use this guide to determine your drink destiny. While it’s true that sugared drinks can cause cavities, how and when you drink makes a huge difference. Make sure to take a swig of water after sipping on sports drinks. The water helps to wash away plaque-causing bacteria. You can also try slurping with a straw to minimize teeth contact. If you are constantly snacking on sweets or sipping a sweet beverage, your teeth are exposed to acid all day long. When sugar sits on your teeth for long periods of time, you’re destined for decay.